Click on a segment to see foods relating to that segment. Scroll down for links. 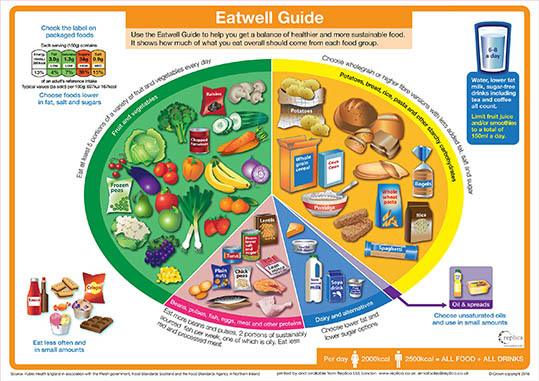 Click here to buy our eatwell plate mat (formerly balance of good health mat). Click here to see our health education packs.